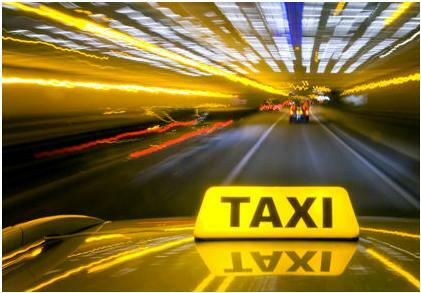 Anyone who runs a taxi business or indeed some form of car transportation business will know their are risks. There is a heavy burden involved; if you drive yourself then you have to find a way of managing and running a company at the same time, essentially two different jobs. There are a huge amount of risks involved, yet some of these risks can be mitigated by acting in various ways, taking precautions and generally being careful. These article points can help you maintain peace of mind and facilitate you in the day to day running of your business. You’ll need your general business insurance of course, but you will also need types of insurance to cover your fleet of vehicles. You don’t want your livelihood be threatened, so it is also wise to undertake Legal Services CDL Defender insurance, meaning if you get into any legal hot water and come under threat of having your license removed you’ll have the expertise representation to get you out of trouble. Some types of insurance aren’t necessary, but for the small monthly premiums you should get them because they can really be the difference in whether your business can overcome any bumps it may face down the road. If you have drivers working for you, you need to make sure they are right for the job and have the best manner about them. If they don’t, they could put customers off resulting in a loss of future sales. You need to assess their customer service ability when you first interview them. You also need to be able to check their criminal record to assess whether they are suitable for the role. If they have multiple driving violations then you may not want to hire them. You also need to double check their licensing to make sure they have passed the appropriate tests. Otherwise your vehicles are at danger from physical damage, as are the customers, and worse you’ll be operating your business illegally. All of these result in bad publicity. Your vehicle’s need to be protected as best possible. The most effective way of doing this is by storing them inside. If you have the space, try to do this. It protects them from vandalism as well as the elements. If you must keep them outside, make sure they are kept behind railings or fences, or at least out of site. If your vehicles are repeatedly damaged it will affect your business’s operational capacity as they won’t be able to be in service, limiting the amount of people you can serve. Also, you may find yourself less able to absorb the costs of constant maintenance and repair. If the problems are bad, it might be worth hiring a night watchman. Sure, you will have to pay out more for the privilege but if you weigh this up against the costs of repair from vandalism it can be a logical payment to make.